Unless you’ve been living under a rock for the past month or two, you know that President Donald Trump signed into law in December a $1.5 trillion tax cut. What you may not know is how that may affect you, both as a first responder and as a private citizen. 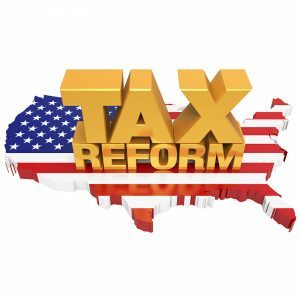 Here’s a summary of some of the salient points of the Tax Cuts and Jobs Act, which went into effect at the start of 2018. Congress has partially eliminated the state and local tax (SALT) deduction, capping at $10,000 what had been an unlimited state and local property tax deduction. This is likely to affect first responders’ budgets. In addition, “eliminating the SALT deduction would be deeply harmful to middle-class taxpayers in many of these same communities that first responders call home,” the letter continued. The National Fraternal Order of Police issued a statement along similar lines in December, noting that it had “strongly opposed” the full elimination of the SALT deduction that the House had approved. The FOP also successfully fought a provision in the House bill to subject the investments of state and local retirement systems to the unrelated business income tax (UBIT), which would have negatively impacted member pensions. Critics have said the tax law would disproportionately affect states with high taxes and living costs, such as California and New York. Residents in Marin County, California, saved an average of $17,000 in 2014, according to the nonpartisan, nonprofit Tax Foundation. In 2015, the average SALT deduction was $18,400, according to the Urban-Brookings Tax Policy Center, which provides independent analyses of tax issues. If you don’t file an itemized federal tax return, your standard deduction nearly doubles to $12,000 for a single filer, $18,000 for head of household and $24,000 for married couples filing jointly. Also, many itemized deductions no longer exist. These include unreimbursed job expenses such as those for uniforms, travel, union dues and any required weapons. Law enforcement officers who previously took advantage of these or other itemized deductions may want to reassess whether itemizing still makes sense for them when compared to the new, higher standard deduction. The number of income tax brackets remains the same, at seven, but income levels and rates will change in each one. These changes expire December 31, 2025. The top tax bracket drops from 39.6% to 37% for all filers. Single taxpayers in what was the 25% bracket (those earning $38,700 to $93,700 in income) will now be in the new 22% bracket ($38,700 to $82,500 in income). The same applies to married couples filing jointly (both the previous and new law start at an annual income of $77,400, but the higher end of the bracket is now $165,000, up from $156,150). If you have a home-equity loan, you can no longer deduct the interest from the loan. Previously, as much as $100,000 was deductible. This credit jumps to $2,000, from $1,000, but personal exemptions of $4,050 are gone. So, despite the higher standard deduction, families with children could be paying more in taxes. If you have qualified medical expenses in tax years 2017 and 2018, you can deduct those if they exceed 7.5% of your adjusted gross income. The threshold returns to 10% in 2019.